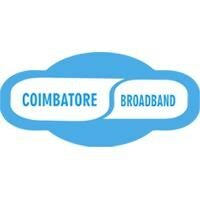 Coimbatore Broadband (Customer Care, Toll-Free Helpline Phone Number, Office Address)-Coimbatore Broadband is the one which provides high – speed Internet. They are dealing with two major service providers Airtel and Reliance both with Broadband, Data card, and postpaid connection. Broadband is limited in some places of Coimbatore to give the accurate speed it is limited. They can provide a corporate broadband connection in all areas. Corporate can avail special offers when getting a broadband connection . They provide services for home broadband connection, College broadband connection, Hospitals broadband connection, corporate broadband connection. They provide both Postpaid and prepaid data card Plan to all Areas.